3.Now you will get email or sms with 300% coupon code. Note : Offer is vaild for new freecharge users. 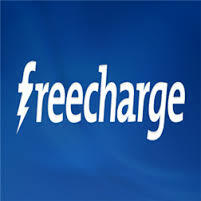 1.Firsly Download Freecharge App From Here. 6.Then Enter your FC Coupon which you have got on email or Mobile number Under GOT A PROMO/FREEFUND CODE? field. 8.Boom! You will get 300% cashback(Rs 30) in FC Credits instantly.